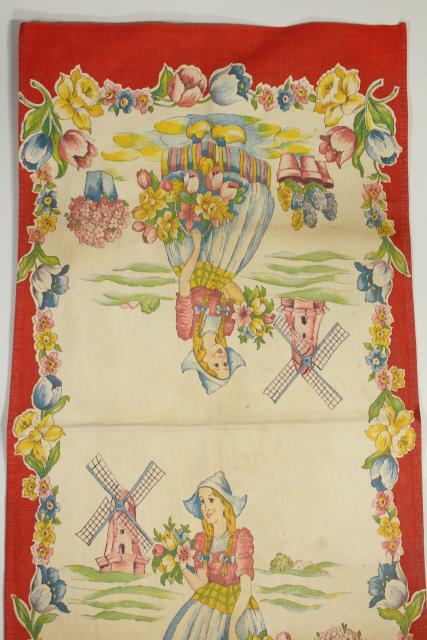 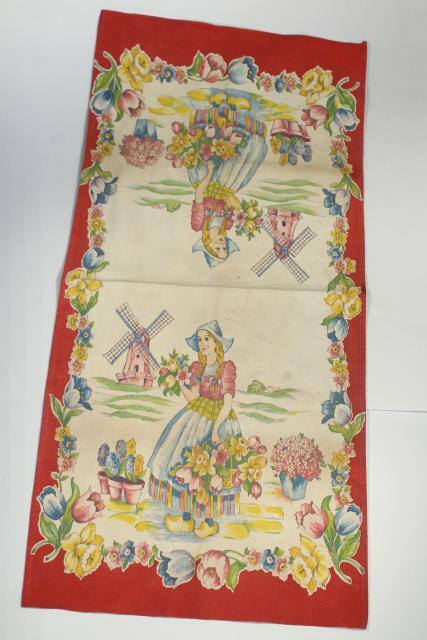 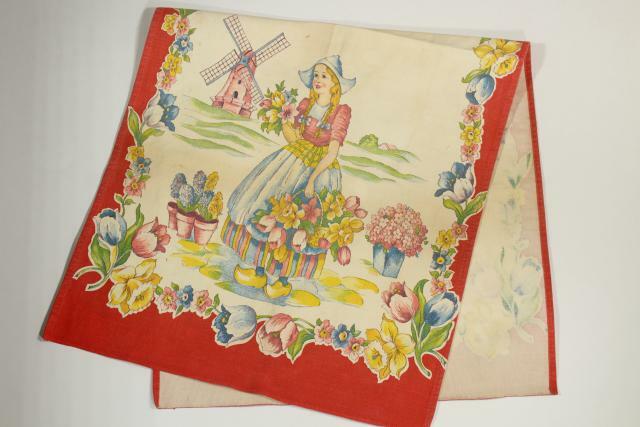 1940s or 50s vintage print cotton kitchen towel with a Dutch girl print we've never seen before. 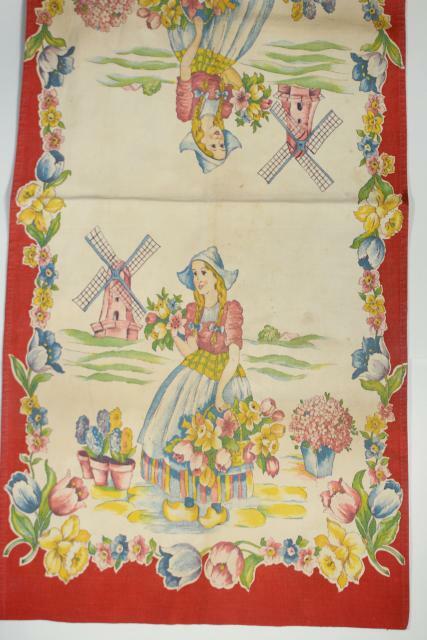 This measures 14" x 28", has no label that we could find - Startex or Wilendure? 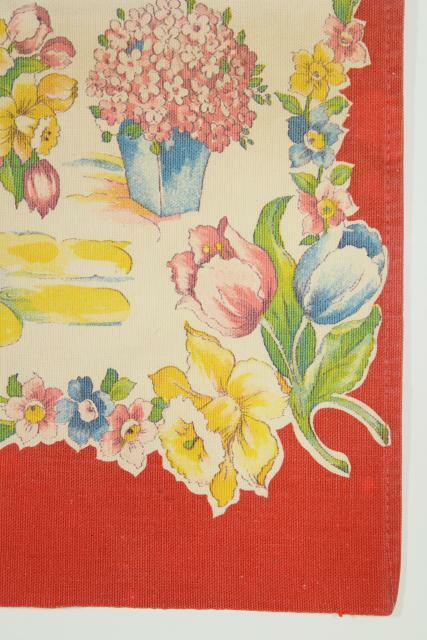 This is a little yellowed and spotted from display, though I don't believe it was ever used. 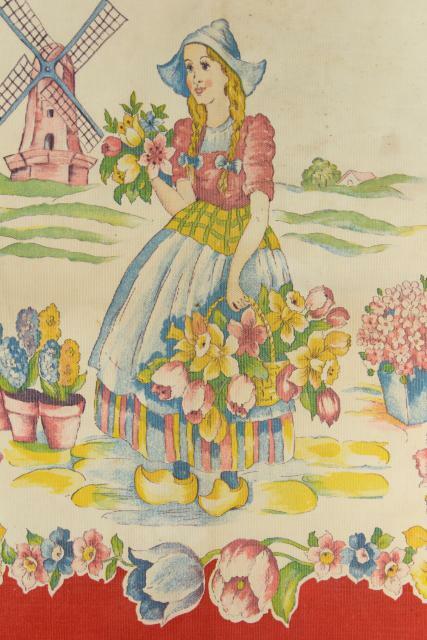 Colors look good without fading, so I think a good soak would work wonders here!